Andrea Bassi (PhD in Sociology and Social Policy) is Associate Professor of Sociology at the Department of Political and Social Sciences - Bologna University. He teaches: “Quantitative Methods for Social Research” and “Social Justice and Equity Studies” at the School of Political Science and “General Sociology” and “Sociology of Nonprofit Organizations” at the School of Economics and Management. His research interests include: studies on nonprofit organizations in the field of social and health services, particularly concerning the relationships between public administration and nonprofit deliverers; and systems of measurement of organizational performance and social impact of nonprofit organizations. He has 20 years of experience as Manager of nonprofit institutions in Italy, associations, social cooperatives, voluntary organizations and foundations, both at the local and national level. He has been Director of the research unit of FIVOL - Italian Foundation for Volunteers (1995-96) in Rome; Director of IREF – Institute of Research in Education and Training (1997-1999) in Rome; Director of Flaminia Foundation (2000-2006) in Ravenna. He is member of ISTR – International Society for Third Sector Research and EMES – European Network on Social Economy. 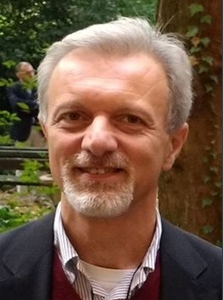 It has been Director of the Summer School ESSE – European Summer School on Social Economy – Bologna University; he is Director of the High Education Course in “Humanitarian and Health-Social Management” – Bologna University. He is member of the National Observatory on Association by the Ministry of Labour and Social Policy.